If you are still using the stock firmware on your router then you have no idea what you are really missing. When manufacturers make these routers they try to make them as basic as possible so that even the non-technical users are still able to comfortably use them. As a result, it limits the true potential of the router reducing it to just a mere gateway to the internet. Which is where the DD-WRT firmware comes in. It is a Linux-based open source software that is designed to enhance the performance and security of your router. By flashing the DD-WRT firmware on your router you will be able to perform actions such as creating multiple Wi-Fi networks or encrypting your network through creating a Virtual Private Network (VPN) in your home. Consequently, every client that connects to the router will be protected by this VPN. It’s important to note that the routers do not ship in with the DD-WRT pre-installed. You will thus have to install the firmware after purchase. Nevertheless, the installation process is not as complex as you might think and you should be able to easily complete it with the help of our DD-WRT installation guide. To help you out, we have compiled a list of 5 of our favorite routers that are compatible with DD-WRT. This is our top pick for DD-WRT routers and for obvious reasons. For starters, it comes with a combined speed of up to 1750 Mbps. That is 450 Mbps on the 2.3 GHz band and 1300 Mbps on the 5GHZ band. Also, thanks to the powered amplifiers and three external antennas the R6700 has an exceptionally long range that ensures you will be connected irrespective of where you are in the house. The inclusion of beamforming technology will now ensure that the Wi-Fi signals are focused directly on your device instead of being scattered wide which consequently leads to increased signal strength. What’s more is that they have included some advanced features like advanced QoS that will allow you to prioritize the bandwidth for various uses such as gaming or streaming videos and thus eliminating the lagging menace. Backing up your files will be relatively easy as this router features a 3.0 USB port that can transfer data more than 10x the standard USB. As a bonus, you will have access to a free backup software. The Nighthawk AC1750 comes with a 1GHz dual-core processor to effectively boost the router’s performance. 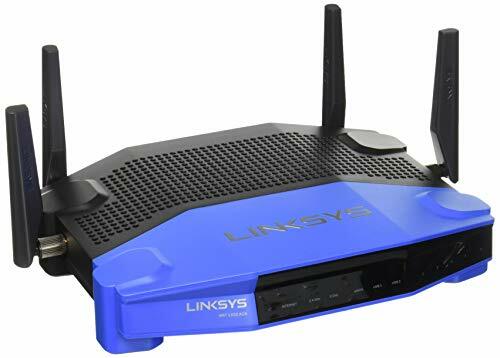 This router will be really great for gamers and streaming thanks to the high speeds and various features geared towards boosting the signal strength. This is one router that has managed to garner a mass following thanks to its affordable price and great features. It comes with a download speed of up to 450 Mbps that can be easily shared by multiple devices without any noticeable change. Which also makes it perfect for video streaming, online gaming, VoIP and web-browsing. The three 5dBi antennas on the WR940N do a great job in increasing its coverage area. The setup process is really easy thanks to the TP-Link setup assistant. Once in operation, you have the ability to determine how much bandwidth is allocated to each of the connected devices. You can also combine this with the parental control feature to manage how and when your children can access the internet. On top of wireless connections, you can also make use of the Ethernet ports which come with speeds of up to 100mbps. Also, with the WPS button, you do not have to go through the usual process of searching for networks and typing in passwords as long as the other device is also WPS enabled. It’s also important to note that the N300 will support 802.11n devices and also 802.11 b/g going backwards. This router will be particularly great for you if you are looking for something that will effectively serve your networking needs at an affordable price. It also comes with an extensive two-year warranty and a very competent customer service that will be available 24/7. 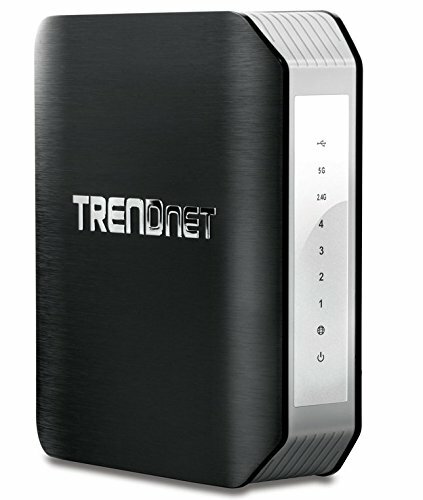 TRENDnet’s TEW-818DRU is another router that has seen a remarkable rise in popularity. This can be partly attributed to the use of the ‘AC1900’ Broadcom chipset that is being used on far much pricier devices. The incorporation of QAM technology has seen an increase in the router’s 802.11n 2.4GHz speeds from the previous 450Mbps to 600Mbps which when combined with the 1300Mbps maximum speed of 802.11ac band gives you a combined speed of 1900Mbps. The TEW-818DRUcomes already pre-encrypted to ensure that your device is secure even without having to reset the password. It also ships with both 2.0 and 3.0 USB ports for quick transfer of files and easy printer sharing. It also comes with a WPS button for one-touch Wi-Fi connections. This router may not come with external antennas but the incorporation of MIMO antennae technology reinforced by the powerful built-in amplifiers will ensure that you have a wide coverage area. For wired connections, you will have access to 4 Gigabit Ethernet ports for an ultra-fast connection. The setup process is relatively easy since you are provided with guided instructions. Once online you can utilize the parental control feature to define when and how other devices connect to your network. You also have the ability to set up a guest network for your visitors. This is a really powerful router that gives you access to the kind of power that would cost you more from the other routers. You may have to compromise on the design but really, if you have to choose between a beautiful router and a high performing router then it’s not even a choice. 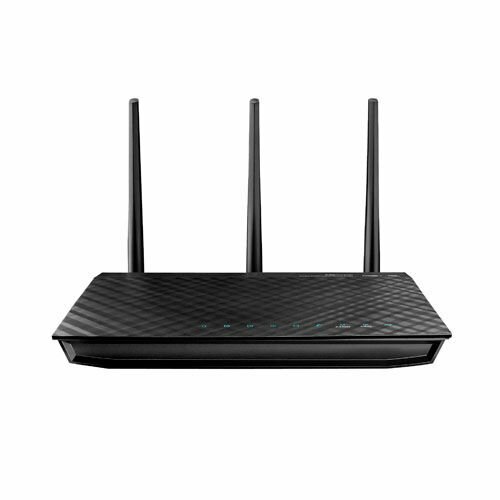 This is another powerful feature-packed router that comes with a great look to top it off. To start off, it offers an internet speed of up to 900 Mbps and comes with two concurrent 2.4 GHz and 5 GHz transmissions that significantly boost the signal strength. For wired connections, you will have access to 4 Gigabit Ethernet ports for the fastest and most reliable internet connection and two USB ports for file-sharing printer-sharing and 3G sharing. 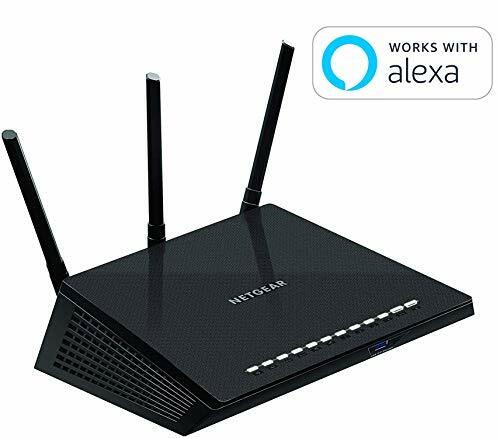 This router is also compatible with the ASUS Download Master that helps in wireless data storage and accessing USB storage devices connected to the router. The N300 uses 3 highly-powered antennas to expand its wireless coverage. Another thing you will like on this router is the simplified ASUSWRT dashboard UI that makes it really easy for you to set up the router, monitor the signal strengths and perform a range of other functions. It also allows you to set up different networks including a guest network and set different restrictions on each network. This is a great ultra-fast router that can be included in the business class routers but is still very affordable to the regular consumer. It will give you an amazingly wide coverage area and with such excellent speeds, it should be able to meet all your networking needs effortlessly. I don’t think Linksys needs any introduction. It is a top company specializing in producing data networking hardware and you can, therefore, trust their routers to be more than satisfactory. The WRT1900ACS comes with an impressive combined speed of 1900mbps. That is 600 Mbps on the 2.4 GHz band that is well suited for the lighter internet activities like browsing and 1300 Mbps on the 5 GHz band that is ideal for gaming, streaming and other heavy internet functions. It also features 4 external antennas that you can adjust to give you a better range and beamforming technology that strengthens the Wi-Fi signal to specific devices rather than transmitting in a general direction. But that’s not all. 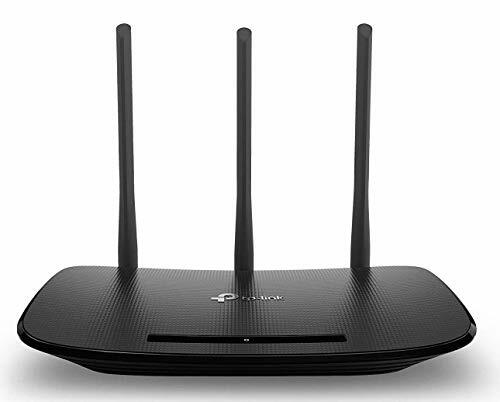 The incorporation of a dual band 1.4 GHz processor means that this router has the power to support multiple users while simultaneously playing games online, streaming, and transferring files without as much as a stutter. Sharing content through an external drive will also be ultra-fast with the USB 3.0 port. You will also be able to transfer files from external SATA drivers through the eSATA port that also couples as a USB 2.0 port. The administrator has unlimited access to the router with the ability to perform actions such as IP-based QoS that allows you to prioritize connections to specific devices or websites, monitor network activities and create multiple networks. This is a router that is guaranteed to serve you with a high-speed internet. You might have to pay a few extra bucks for it but at the end, you will be getting value for every single cent you spend. What are packets, routers and IP address?